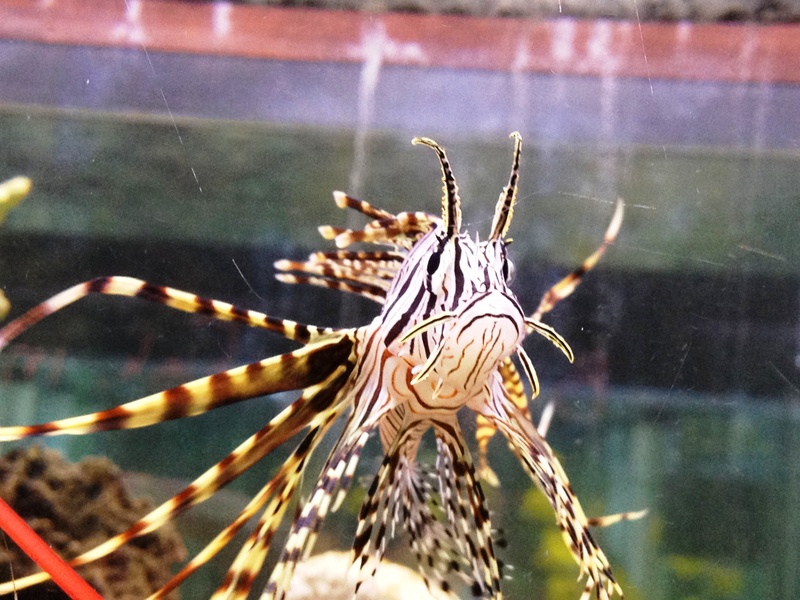 After I had finished looking at the corals, I went walking among the rows of fish tanks and aquariums, and came upon this … the Volitan Lionfish. I think he didn’t like me taking his pictures, as he started swimming towards me, with all his fins out. This was easily my favourite fish that day. There were others with their bright colours, or their size that I found interesting. But this one I wanted to take home with me. But he was a saltwater fish, so we couldn’t. Besides, he might eat up the angel and goldfish that we have in the aquarium, if he doesn’t sting them first with his venomous spines. Maybe I can convince hubby to set up a small saltwater tank …. Apologies again for the quality of the photos. They hadn’t gotten around to cleaning his tank, so the water streaks or scratches hadn’t been cleaned yet. Next time, we’ll go visit in the afternoon. Hi thanks for liking my post. This reminds me of my visit to Birch Aquarium in San Diego. I have a bunch of posts about it. 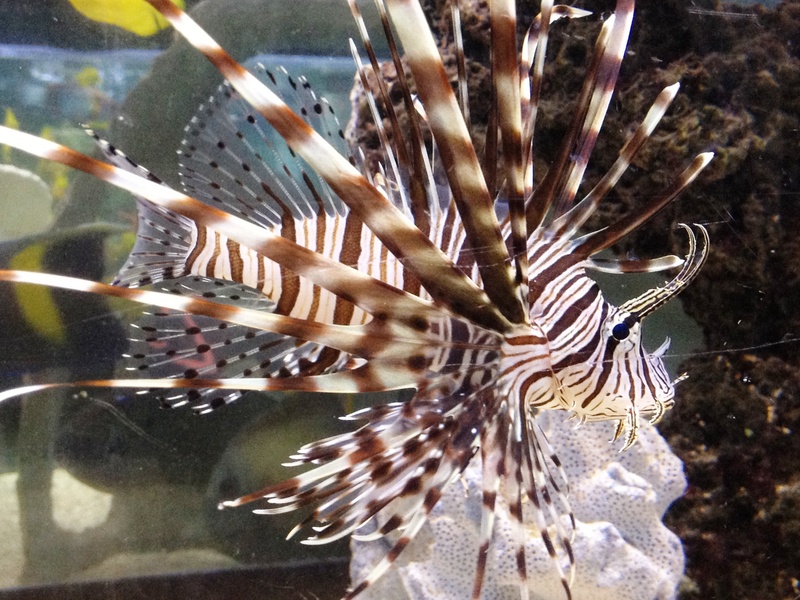 I found out there that … [from my post] … it may also be attractive, but lionfish is venomous. The slightest prick from one of its thorn is extremely painful. Wow! You have a lot of great photo’s! I absolutely LOVE the fish! Thank you. I hope to take better photos of the fish next time. Thanks for stopping by! I would hate to be out swimming and meet him! Good pictures!